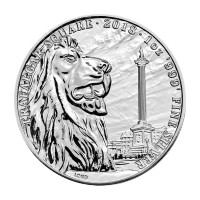 Purchase a 1 oz 2019 Niue Roaring Lion silver coin at the lowest price from our online store! The Beautiful South Pacific Island of Niue, in conjunction with the Sunshine Mint have added this spectacular tribute to the Lion of Judah to their list of popular releases. 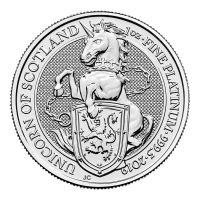 This .9999 silver coin’s obverse displays a dazzlingly artful rendering of the iconic lion, making himself known with a resonating roar; his imposing form is lifted to new heights when closer inspection reveals the memorable phrase ‘And the truth shall set you free...’ inscribed along his fiery mane. State of the art micro-engraving instruments employed by Sunshine create a dazzling display of light-catching concentric rings around the mighty lion and are featured along with the Hebrew characters Aleph and Tav (Alpha and Omega); as well as the coin’s weight and purity. The reverse of the coin boasts Ian Rank-Broadley’s detailed rendition of Elizabeth II, on a field of micro-engraved starburst design. 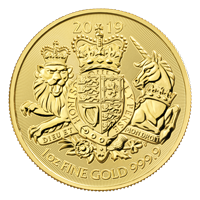 Also on the reverse, the coin’s denominational value, the names ‘Niue’ and ‘Elizabeth II,’ as well as the year of release. Regarded as a timeless symbol of strength and eminence, the Lion of Judah stands as a symbol of the tribe of Judah and Jesus himself but was adopted by many leaderships and peoples over the ages. 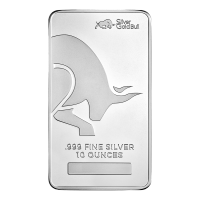 Diversify your holdings with this symbol of power, by purchasing your 1 oz 2019 Niue Roaring Lion silver coin today. Multiples of 20 will ship in tubes. Multiples of 500 will ship in monster boxes. Vorderseite Roaring lion, with the inscription for the "Lion of Judah" along with the weight and purity. Roaring lion, with the inscription for the "Lion of Judah" along with the weight and purity. 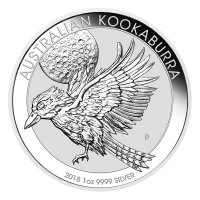 1 oz Silbermünze - Brüllender Löwe Niue 2019 Purchase a 1 oz 2019 Niue Roaring Lion silver coin at the lowest price from our online store! The Beautiful South Pacific Island of Niue, in conjunction with the Sunshine Mint have added this spectacular tribute to the Lion of Judah to their list of popular releases. This .9999 silver coin’s obverse displays a dazzlingly artful rendering of the iconic lion, making himself known with a resonating roar; his imposing form is lifted to new heights when closer inspection reveals the memorable phrase ‘And the truth shall set you free...’ inscribed along his fiery mane. State of the art micro-engraving instruments employed by Sunshine create a dazzling display of light-catching concentric rings around the mighty lion and are featured along with the Hebrew characters Aleph and Tav (Alpha and Omega); as well as the coin’s weight and purity. 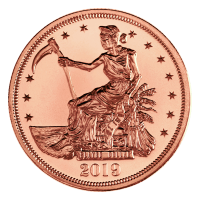 The reverse of the coin boasts Ian Rank-Broadley’s detailed rendition of Elizabeth II, on a field of micro-engraved starburst design. 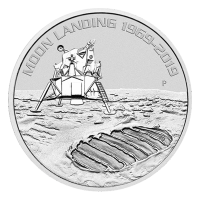 Also on the reverse, the coin’s denominational value, the names ‘Niue’ and ‘Elizabeth II,’ as well as the year of release. Regarded as a timeless symbol of strength and eminence, the Lion of Judah stands as a symbol of the tribe of Judah and Jesus himself but was adopted by many leaderships and peoples over the ages. 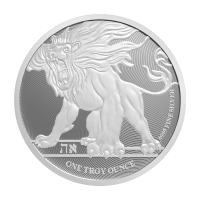 Diversify your holdings with this symbol of power, by purchasing your 1 oz 2019 Niue Roaring Lion silver coin today.